For customers that want a smartphone that's built for a communications centric experience, BlackBerry® (NASDAQ:BBRY)(TSX:BB) today introduced the new super social BlackBerry® 9720 smartphone. Designed for a premium look and available in a variety of vibrant colors, the new BlackBerry 9720 smartphone takes everything you'd get from a starter smartphone to the next level, and comes packed with all of your favorite social apps to let you spark the conversation. "The BlackBerry 9720 smartphone gives you all the essentials of the BlackBerry smartphone experience to support a communications centric lifestyle. 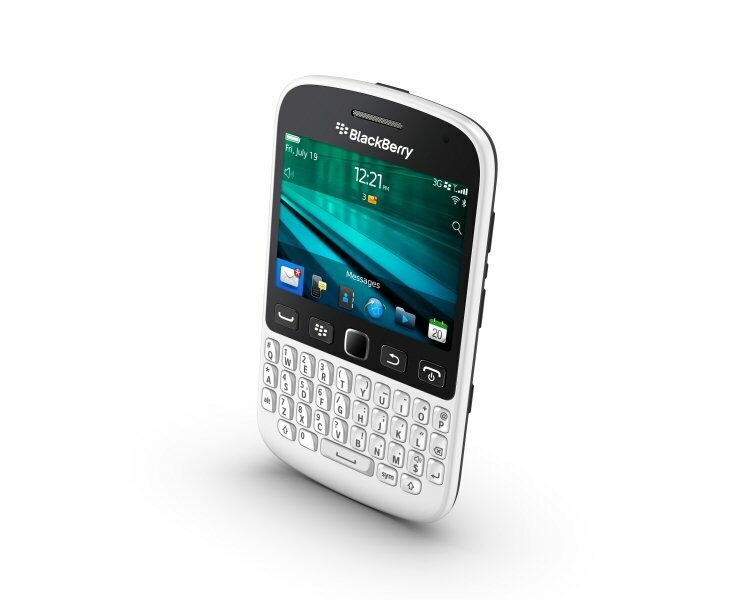 It has the best keyboard and functionality for BBM, as well as an updated BlackBerry 7 OS that adds many enhancements. It's perfect for customers upgrading from a feature phone or entry-level Android or Windows Phone device, as well as existing BlackBerry smartphone customers, that want a richer experience and jump up in style and performance," said Carlo Chiarello, Executive Vice President for Products at BlackBerry. - BlackBerry 7 OS - The new BlackBerry 9720 smartphone comes with BlackBerry® 7 OS version 7.1, which features an updated interface that lets you swipe to unlock the phone or access the camera from the lock screen, as well as additional enhancements. - BBM - The new BlackBerry 9720 smartphone features a dedicated BBM™ key that makes it quick and convenient to access the globally popular mobile social network, and with its BlackBerry Keyboard, messaging your BBM friends is easy and accurate. It also includes BBM Voice, which lets you chat over Wi-Fi® for free. * The latest version of BBM, which features BBM Channels, will also soon be available for download on the BlackBerry® World™ storefront, letting you tune in and connect with the businesses, brands, celebrities and groups you are passionate about. - Built-in FM Radio - With the BlackBerry 9720 smartphone you can listen to local FM stations, and automatically let your BBM friends know what station you're currently listening to. - Multicast to Make Yourself Heard in an Instant - The refreshed BlackBerry 7 OS lets you quickly type your message once and post it simultaneously and instantly to your friends on BBM, Twitter® and Facebook®. You can even snap a picture and post it to multiple social networks all at the same time, right from the camera app. - Discover New Possibilities - With access to BlackBerry 7 apps and games on BlackBerry World, the BlackBerry 9720 smartphone can make you more productive and better informed, and keep you well connected and thoroughly entertained, while on the move. - Smart for Business Too - With BlackBerry® Enterprise Server or BlackBerry® Enterprise Server Express, the BlackBerry 9720 smartphone offers superior business productivity features with market-leading mobile device management, application management and security, and is a very cost-effective solution for any organization. For more information about the BlackBerry 9720 smartphone visit http://uk.blackberry.com/smartphones/blackberry-9720.html, and watch a YouTube video at http://www.youtube.com/watch?v=S9eTpojlWF8. * For BBM Voice calls, both parties require a BlackBerry® 5 OS or higher or BlackBerry 10 smartphone, a data plan that supports BlackBerry services and a Wi-Fi connection. Please check with your service provider for availability and restrictions. To view the photo associated with this press release, please visit the following link: www.marketwire.com/library/20130812-sseries800.jpg.